Making money as a photographer can be a struggle. And a significant challenge to making an income out of your images is simply not knowing where to start. So today we’re sharing this gorgeous infographic with you, as inspiration. There are a lot of ways you can make money as a photographer – probably a lot more than you ever thought. (Did you know that “scientific photographer” is a career?? We didn’t!). 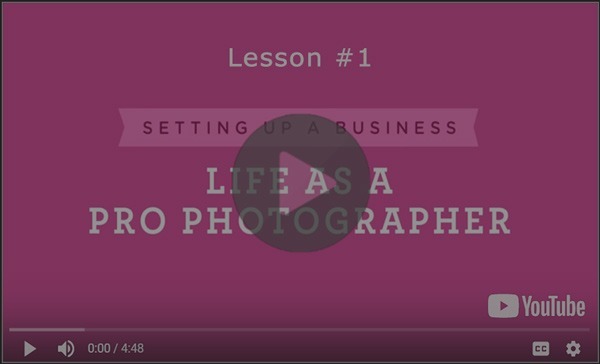 Click here to watch the FREE video taken from our course, Essential Photography Business Lessons! This list is the result of our research and brainstorming, and, as thorough as we tried to be, we’re certain there are even more. But these will give you a great jumping off point, and get your brain thinking about new ways that could help you bring in some income with your passion! Take a peek at the infographic below, and then at the bottom of this post we’ll chat about the list, highlight some of the exciting new ideas we included, and discuss why we excluded some very popular genres! When we started brainstorming for this list, we tried to keep the big idea in mind: How can you make money as a photographer? We weren’t trying to think of “different types of photographers” but rather how can you directly make cash with your camera. This led us in some surprising directions, initiated interesting discussions, and made us think about photography in new ways. If you quickly skimmed over that list, I don’t blame you, because that’s exactly what I always do too. But now I heartily recommend taking another, closer look at it. There are a lot of ideas on there, and a lot of them can be further split into many different paths. So take your time, think about each idea, and imagine what it would be like to do that type of photography work. But the hard part is deciding what to actually move forward on. What should YOU do? Pick one of the trendy, popular ways? Or go with something more traditional? We can’t, of course, tell you what to do. But we can give you one piece of advice. 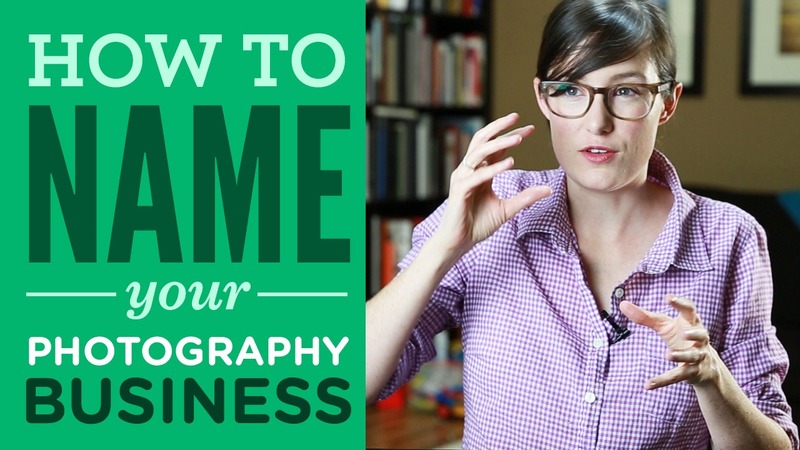 Choose ways to make money with your photography that resonate with your own interests. The more passion and energy you have for your work, the more success you’re likely to find. So as you peruse the infographic, keep asking yourself, what really interests me? What could I see myself spending years working on? If something stirs up a ton of excitement and energy in you, start doing some research and getting more information. It could be an exciting new direction for you! People will hire you to take their photo. Mountains won’t. The nice thing is that, as you can see in the list, there is enough variety when it comes to photographing people to satisfy almost any photographer’s interests. 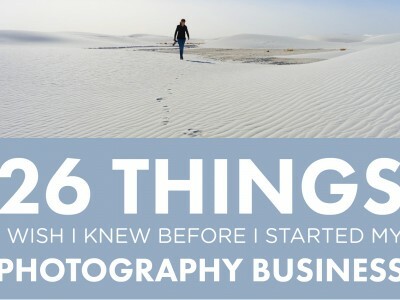 There are ways to make money on this list that have been around as long as photography itself. Portraiture, for example. It’s been around forever, and it’s not going anywhere. While the ways a portrait photographer shoots and collects income might be different now than in the past (digital files anyone?) the basic idea is the same. But what’s really exciting is that we came across some brand new genres of photography that are still in their beginnings, but growing quickly, both in the number of photographers getting into it, and the number of clients looking for it. If any of these catch your eye, dive in. You might just ride that wave to success! Let’s chat about a few really quickly. This probably got some confused looks when folks saw it on our list. We expected that, because this genre of photography is relatively new, but that doesn’t mean it’s not real. In fact, it’s exploding. Right now there are photographers on social media platforms (most notably Instagram) who are getting paid to create images for the sole purpose of sharing them with their social media audience. And I’m not talking about getting paid a few bucks here and there by a local pizzeria. Companies like Mercedes Benz, Sony, Nike and Vogue are sending these photographers on the most incredible adventures, often armed with only an iPhone, to make photos for them. It darn well seems like the ultimate dream job. But don’t underestimate the work involved here. Many of these photographers amassed audiences numbering in the hundreds of thousands before they were able to start making their living this way. That takes serious time, work and dedication. If you’re really into social media, this could be a big opportunity. You can check out Tinker Street, an agency that represents a lot of the big social media photographers, and see the exciting work they’re doing. Aerial photography has been around forever, but with the advent of high quality, affordable drones, (like the mega-popular DJI Phantom), that require a relatively short learning curve, this genre of photography has blown wide open. For less than a couple thousand dollars (about the same price as the average DSLR camera) you could be creating stunning aerial images and videos. This type of photography, now vastly more accessible to photographers and clients, is becoming increasingly popular. Eternally creative band, Ok Go, just released their latest music video, and it featured some jaw-droppingly impressive drone work. If you always loved remote control toys, and photography, there couldn’t be a better way to make money than drone photography. Look into it. This type of photography still gets an eyebrow raised, and a “Really? People want that?” when we bring it up, but I can tell you, from personal experience, that birth photos are among the most amazing images a client could ever own. I’ve been fortunate enough to be on both sides of the lens here, and I’m not surprised at all that this genre of photography is growing rapidly. Birth photography requires a particular sensitivity, and a whole lot of stamina and dedication, but it is also one of the purest expressions of what draws so many people to portraiture – love, amazement, and joy. But What About Fine Art? Or Landscape?? Now this certainly was a point of discussion here, and I’m sure that convincing arguments can be made either way. But here’s what we decided. We were looking for specific ways to make money as a photographer. When it came to things like wedding photography or real estate photography, it was clear to us that you could be hired to shoot those things, and you’d make money simply by taking the photos (and, presumably, delivering the files). But landscape photography? Fine art photography? By and large, those genres of photography require a different approach in terms of making an income. Landscape photographers make their money by selling prints, books, teaching, or running photo tours. They aren’t generally hired to go out and create photos. They do it on their own, and then have to work to sell the images afterwards. Fine art photography is the same thing. Are there exceptions to this? I’m sure there are. I’m sure there are fine art photographers out there who are commissioned to shoot something, or landscape photographers who are hired to go and shoot a mountain. But generally speaking, they use the “Other Ways” to make their income. And so we didn’t include them as a way to specifically make money. But what do YOU think? Are we wrong? Should landscape and fine art be on the list? Did we miss something else? Do you disagree with what we did include? Do any of these surprise you? Interest you? Have questions about an idea? This list is, above all, a great way to start a discussion. Making money as a photographer can be challenging, but when we have more ideas of ways we can turn our images into an income, that challenge becomes a little bit more manageable! So help us out and leave us a comment and let us know what you think! Love the graphic illustrations on this list!!! I was interested to hear your thoughts on birth photography because I’ve been thinking about getting into it. The photos that result are so powerful and beautiful! However I would have no idea where to start since I have no children if my own. Thanks for the kind words, Bridget! So glad you enjoyed the infographic! That’s wonderful that you’re interested in birth photography. It’s pretty incredible! For the record, Rob and I were family and newborn photographers for years before having a baby of our own. We did have to learn a lot about kids in order to improve our work (they’re totally different to photograph than adults! ), but we were definitely able to do it without the personal experience of having children of our own. So I wouldn’t let not having children hold you back from birth photography if you’re really interested. In terms of where to start I would do some research online to get a good idea of what to expect. I did research myself when I photographed a birth, even though I had already experienced it personally. :) There is more and more being written about birth photography, and a lot can be learned online! Good luck! Thanks for the reply Lauren! I will certainly take your advice! I was an elementary school teacher for 5 years and work with kids my whole life before that so I definitely get kids and love the craziness they can bring to a session! But birth will be a new experience! Thanks for all your hard work. Love your site! 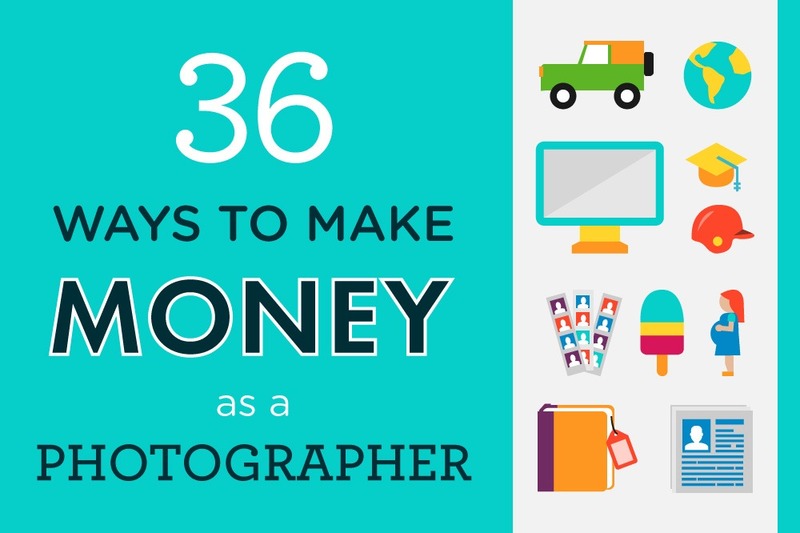 Who knew there were so many ways photographers can earn a living? I totally agree, Sophia! Specializing in one or two areas of photography is a great way to focus your attention, and grow your skills. If you tried to do everything on this list I think it would be pretty tough! A very exhaustive list indeed. I would like to add “Nature and Wildlife Photography” to this list. One can work as a wildlife photographer and work on projects related to conservation of plant and animal species. Thanks for the comment Anshul! That’s a great suggestion, and a really interesting way to work as a wildlife photographer, I hadn’t thought of that! Is decor art a viable idea? I don’t just mean prints, but canvases, block prints posters and frames, (and maybe more). That’s an excellent point, Janice! There are definitely a lot more ways to sell your photos than just prints! Thanks for sharing! Awesome article! love the infographic. Not sure if this fits but working as a photographer’s assistant is a great source of income (and bonus learning experience too) especially if you’re just starting out. I also thought of art documentation as that’s something I’ve been exploring more myself lately.. The other day someone contacted me because he wanted a photographer to take photos of 2nd hand white goods. I turned him down, because I simply don’t have the time. Well, my problems are, number 1, I basically hate people and can’t stand working with most of them. LOL, The other problem is that I’m a lousy businessman. I have done PHOTOBOOTHS and enjoy it. In fact, I did one on Halloween night because the owner of the business begged me to. I’m now focusing on the coffee table books and I have some great ideas for it. I’m working on my first project, the details of which I am not yet willing to share. It affords me the independence I crave and I don’t have to deal with a lot of people. I wish you would write about this genre in more detail because I could use some pointers. I wanted to post another thought that I had in my head for a few days. Collecting these ideas how to make money is very good and is certainly the first step to actually making money with photography. However, at one stage people have to pick at least one of the ideas and start do something about it – and this is the hardest. Many may dream, but not do. My first step into paid work was advertising locally. It was a simple, little ad and that offered 1 hour portrait sessions for free. I think it cost me $90 for running the ad 3 months. I find shooting “clients” very different going from shooting friends, family or work colleagues. When I know someone, I find it easy to shoot a nice portrait. With strangers I find that looking through all images from a session, people tend to be a bit stiff/formal on the first images, but relax more and more and often the best images are from late in the session. If you want to be a “people photographer” it is essential you can connect with strangers. I have done a fair few of these free portrait sessions. In response to my ad, people started asking about wedding photography and I have now shot a few weddings as a paid service. If I had to live from my photography, I’d starve, but the money I make helps buying the pro or semi-pro equipment I use. Many people push into wedding photography, because it is the easiest field to break into and make fairly decent money. A wedding is still a once in a life time event for many people. Shooting a wedding is a big responsibility. And yes, I have met a few “Bride-zillas” doing wedding photography. One thing I learnt is that I now ask my brides to give me in writing what images they want. The only real frustration I had were complaints after the wedding: they didn’t get what they expected. However, they didn’t communicate their expectations to me before the wedding. Now I ask them to give me before the wedding, in writing, what they expect to see on the images. That’s not only to cover my back, but when they put this list together, that starts a thought-process they may otherwise not have and the piece of paper communicates that thought process to me. Sorry, this got a bit longer than I thought… not even sure if this belongs in a post that really is about the ideas = the very first step. This is great, honest, real-world advice. Thank you for sharing with us! Saw a docu today, the BBC’s Coast. There is a British lady who photographs waves around the globe. .. yes. Waves in water. I fully agree with your views. Photography is a very good career and choosing photography in a subject which interests you will make a good career and improve your earning potential. Great article Lauren! I was going to say, “What about abstract photography?” but I guess it would also fall in line with landscape and fine art photography in that you only make money off of it through selling prints & products. Good job on the distinction! I think you’re right on. Wow! I love the site and this article. Thanks for sharing. I’m kind of tempted again to hold my camera big time. Congratulations and more power! Just wanted to let you know that there is also medical photography. This is something I just recently learned about and actually just applied to. Thanks for another great post. Hello, I just take photos for myself mainly nature and macro shots but I would really love to find a way of making money from this as well. I have looked at your site which is helpful to me so I would just like to say thank you for this information. 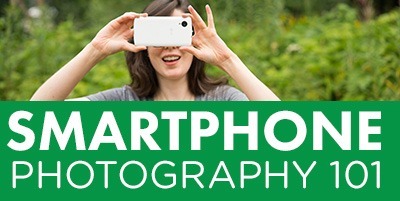 What about people who like to take photography for theirselves and want to share them with others online ? How can i make money with this way ? Online print sales ? Or is there any other way rather then taking photos for clients for specific compositions or subjects ? What about people who like to take photography for theirselves and want to share them with others online ? How can i make money with this way ? Online print sales ? Or is there any other way rather then taking photos for clients for specific compositions or subjects ? I would like to make money with my own photography projects . Dante, if you want to make money with “social media profile pictures”, produce a portfolio of these profile picture and show it to people, either in person or via a website. If your portfolio is good and you persist with your “marketing”, you will eventually get bookings for paid work. If you have no portfolio to show, or you don’t market your services, how do you expect people hire you? You say “I want to make money with my own photography projects”. Actually, you have to find people who need photos, don’t have the skills/equipment/time themselves, and the money to pay you. To find someone who pays you for your hobby would be nice, but I assure you, it’s not all that common. When you get an inquiry, show your portfolio. I’m at a stage where 9 out of 10 people who meet up to view my portfolio make a booking. In the beginning my portfolio consisted 100% of images from friend’s weddings. Now 90% of my portfolio is from client’s weddings. This entire thread is about having ideas, or having a vision to get paid for photography. Dreaming or having a vision is good, but that alone will unfortunately not get you paying clients. Taking the right actions, will. Put your camera bag open on the ground and wait for people to throw coins into it? Very Impressive Infographics .. Although I am an IT Geek .. But, I am Lucky Enough that my Father is a Industrial Designer and He who Introduced me to this Mightiest, Fullfilling Occupation “Photography” .. I Never Knew that there are other such ways to Earn out of Photography .. This Article has Given a Headsup to Pursue “Photography” .. I just have no comment for this masterpiece! I’m obsessed to photography and would like to start my official website where I will be sharing my photography work to the world. I can’t hide it,I love nature so that I guess you know where I’ll be getting started. Is there a destiny here Lauren? Eagerly waiting for your feedback! How do you suppose handling “Gear Fear”? I’m in film school and I want to start doing photography to bolster my skill and content, but I only have a Canon Rebel T3i and a handful of kit lenses and a mid range 50mm prime. Sometimes I find it hard to tell people what I own since it isn’t the newest and fanciest camera. Gear fear? You mean having fear because you use cheap gear? What exactly is your aim, making money with photography? You don’t find paid work as a photographer by having fancy gear, but with your portfolio – and of course people/marketing skills. You need a strong selection of images to put before people, so they hire you to do similar work. Your portfolio images matter. It seriously doesn’t matter what gear you used to produce these images. When I started to do weddings professionally, I had still a fair few images in my portfolio taken with a $200 point-and-shoot camera at friends’ weddings. You can produce very impressive portfolio images with gear a few notches down from yours. I know at least one lady who started her portrait photography business with a Nikon D5000 and a Sigma 70-200 2.8. Many images in the 70s and 80s were taken with nothing but a 50mm. 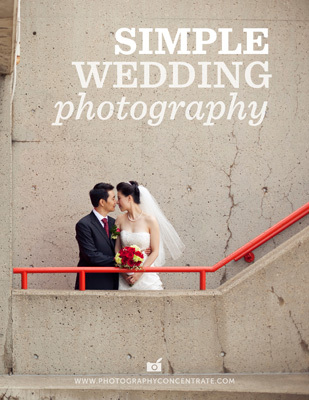 And there is at least one book by one of the world’s top wedding photographers that was entirely shot on an iPhone. Simply FORGET you gear fear, develop your photography skills – that’s the most important. I’m trying to figure out what my major should be in college, for the last few years I’ve been wanting to be an engineer because I like creating things. Recently photojournalism and journalism in general have seemed to be an interesting path to follow. How can I figure out if Im cut out for those fields? People who really want to be photo journalists struggle to survive. The golden age of photo journalism was 30 years ago. Today it’s a cut throat business. If you have to ask someone if you are right, you are probably not. The people who want to be photo journalists will push past you… And if you are discouraged by what some guy on the net tells you, really, you are not cut out for it. Hey there, I have loved taking photos for years now. I usually do closeup of objects or scenery and have not done a lot of people pics. With the coming of my 2nd child here next year I really want to quit my job and work from home. My big issue is I have no idea how to bring in a steady enough income from home to feel comfortable quitting. I can do some editing using gimp but have no idea how to make it my primary. Any suggestions? I’m starting a pet photography business in Mexico, they aren’t very common, but I’d like to know, like any any other photo business, are there any tips or tricks into boosting this type of business…why some pet photographers charge extra if kids or family are included in a session? Comments are welcome. Thanks! Very interesting article! When I started off with photography I tried most genres and even managed to make money by shooting at events and at a concert. I however found with time that landscape photography resonated with me more. I intend to follow this path. ..I’m aware it’s more challenging to get money from it, was hoping this article will help give direction on how to overcome that. Hi, I really liked your article about the different aspects that photography can get into. Right now I’m not sure whether I should have photography as a living or find another career that might fit me more. I’m a junior high school student and I have done photography for about 2-3 years. What I like to photograph is the stars at night and wild animals, however, I’m not sure whether it will be sufficient enough for me to earn a living. Please let me know your thoughts. Thanks! I just wander how hard it is though to break into this market. I get the perception that anyone who has a camera / phone sees themselves as a photographer. How do you get people to take you seriously ? I’ve been doing a lot of regular photographer at our church, photographing those performing in the band.,I’ve been told I am very good. I love this kind of portraiture. I wander if there’s a market there ? As a father of four grown up children ( yes Lauren they do grow up ), and as a nurse I am very comfortable in a delivery room. As a male though I wonder if this area of photography might be closed to me. I should want sharing photo and how to share it.. I Havent Started Photography But Looking Foreward To It. I Was Confused If I Can Earn A Living As A Photographer. Now I Only Have Nikon Coolpix L5 And I Carry It With Me Everywhere I Go.I Have Captured Dozens Of Pictures And I Think I Wil Upload It On My Own Website. Iam Looking Foreward To Join A Photography School. Can You Suggest Me With Some Of The Best Photography School In India? And Can You Explain More About The Scientific Photography? The world is flooded with “want to be photographer”. Everyone has a smartphone and believes their pictures are great. I use it as well for memory snapshots when my camera is not with me. For nothing more. Smartphones do nice pictures, don’t get me wrong. But there is a huge gap to a good DSLR. Selfies – I can not imagine to get a picture with myself on it and have a lovely background, landscape, building or whatever it may be. I feel people taking selfies show sometimes mental illness, such as body dysmorphic disorder and obsessive compulsive disorder and its may linked to narcissism, isolation. I believe same applies to the overwhelming amount of reality shows on TV. However, thats my view of it. Thanks for all the tips and illustrations, couldn’t just take it without saying a big thank you. You’re a darling. God bless u.
I ami in 1st year of my college..I just want to make some hand expanditure for myself as a side income. I am interested in model photography. wish to be replied soon. I do more freelance work, and its usually for magazines who specialise in travel. I’m a surfer so I try to get as many ocean photos as possible, to make it enjoyable. I then do portrait work, usually just using my girlfriend or friends which are in the area, or jump on the travel bus with us when we go for waves. I haven’t been getting paid much, but starting to build clients. It attracts people searching for general photographers also as it it so wide based what I do. 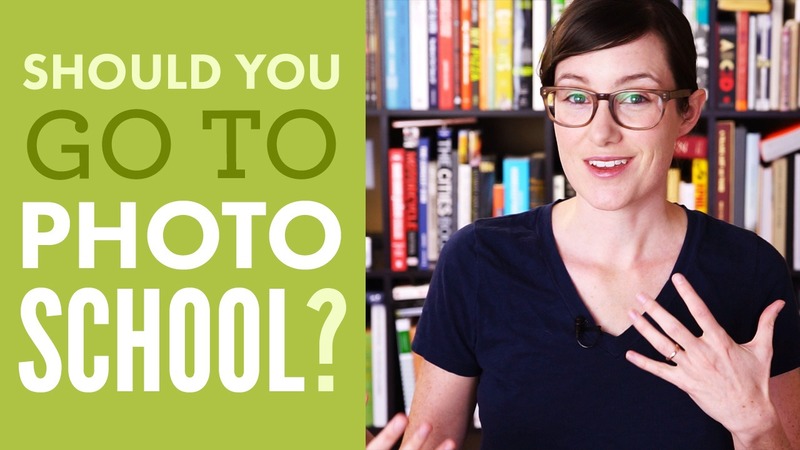 Sadly, for most, the best way to make money in photography is to sell your camera. These days, every man, woman and child caries a better digital camera with them (around the clock) than existed 10 years ago. Being a great photographer involves knowing more than your equipment, composition, lighting, etc. — you have to be a salesperson and doggedly persistent to break through. Otherwise, all your great photos will go completely unnoticed in the sea of image clutter that is out there. Lauren, im glad to be on your website . I have been doing photography since 2008, i had a pretty slow pace tho . i just opened my studio . Hence , i love your advice to the guy with gear fear . it was quite good . Your advice to Dante was quite good too. The problem i have mainly right now is that people are not turning up to take pics in my studio . I still rely on the clients i had in the church i attend week in , week out . I wish i could reach every sect of people in the town i live in . How do i go about advertising ? Secondly , some folks came over to my studio to price my frames but they were disappointed . They thot my prices wete too high . What is the best percentage profit i should make on frames ? I am a landscape photographer and I am still 15 years old. I think I want to find more passion so I can make a living for my future life. What about life of the less fortunate people on the streets. Random shots. People who don’t have What most of us take for granted. Is this sellable? Or are people over social shots? Was thinking more into national park shots? Not sure? Perhaps a two prong approach may help. Take photos that earn money and when you are not actually hired to work for money, you can practice and polish your skills taking photos of what you actually love. Eventually, you can migrate to earning money doing what you love. This approach won’t work in every case but this is another approach to earning money doing what you like to do. Example1: Capture photos of peoples possessions for insurance inventory recording business. When not working for clients, you practice your ‘people’ photo skills for your eventual move to portrait related business. Example2: You find it easy to get paying jobs taking high school senior and kindergarten graduation photos but earnings are generally limited to two months a year. You need more consistent work. Your idea is to build a unique business shooting memorial pictures at funerals. Funerals are not so seasonal and offer you a more consistent opportunity to earn money doing what you like to do. You produce a multimedia slide show and include eulogy audio as a unique product. What about making money blogging as a photographer? This article is a hope for photographers who afraid beginning commercialization for their beautiful pictures. Thanks Lauren. Free stock images website can attract huge traffic and you can start making money as soon as you sell images. Hi my passion is photography but I am not photographer I have aot photos friends on instagram like them but only this…how. an I become a photographer and earn from that like other people do? Maybe you can expand on the business idea of taking people’s possessions for insurance inventory purpose. 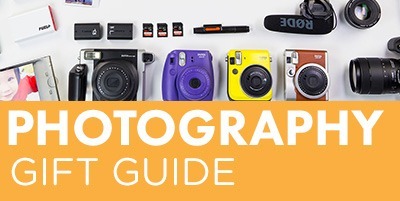 This is a great niche that photographers can venture into. I’ve done so far one wedding (12hrs standing up) ..too much, architectural, fashion, boudoir….but I bump always agains competition from young, gifted, well connected photographers. Prices are crazy around, I’ve lost gigs cause sometimes I’m to expensive or cause I’m not a well known photographer or even dropping my price, I’m still expensive. Some prefer to pay 1000$ to a known guy than 400 to me even doing the same photo with same quality. ….its so frustrating. Some people asked to teach but i do for instinct a lot. Real state photography only pays by commissions…. Very Impressive Article, Lauren! Thank you for sharing this article with us. Many ways to make money as a photographer. Awesome! We’re so happy you find our work helpful!